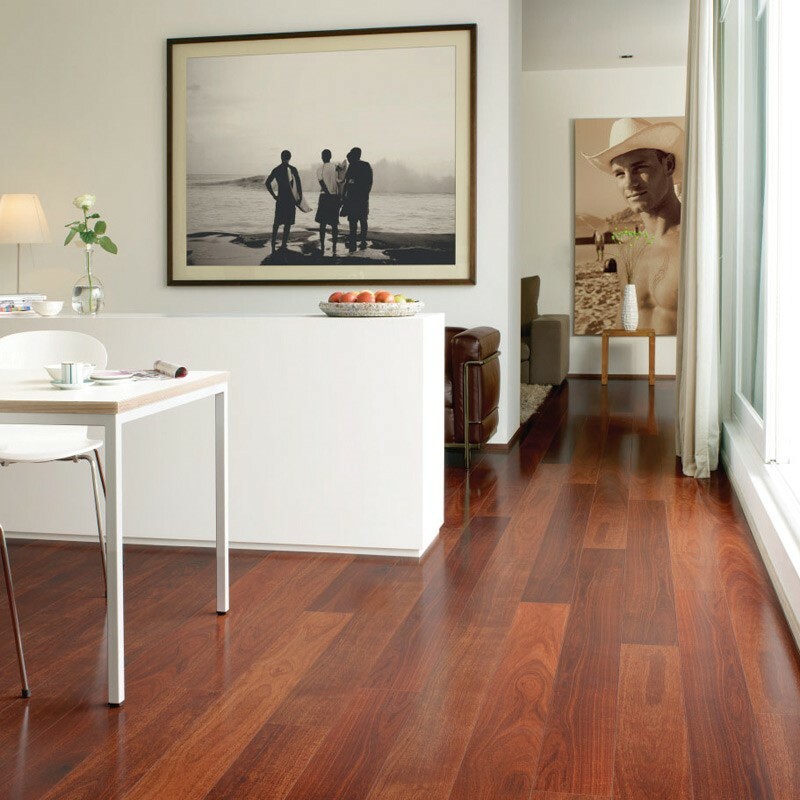 What Different Wood Flooring Options Can You Choose from? The time has come to pick a new floor, and it only makes sense to know what all of your options are before picking the floor covering you’ll use for years if not decades to come. Classic, hard-wearing, and easy to match with existing interior design, hardwood floors have been a popular floor covering since the 19th century. Although they require regular maintenance, almost all wood flooring options (including engineered floors) can last a minimum of 15 years. Today, there are 4 timber flooring options, and one floor covering that are often confused for being one! Unused timber planks are still the most popular hardwood flooring choice among new homeowners. They can be refinished multiple times, and have a life expectancy of roughly 80-100 years when maintained well. For those who love the classic appearance of hardwood floors, but hate the high cost of purchasing solid timber planks, engineered timber flooring is probably the best choice for you. Engineered timber planks are crafted by layering many thin layers of plywood on top of one another, then finishing off the plank with a thin veneer of solid hardwood. The result is a floor that looks and feels like timber, without the structural (and financial) downsides. It’s no secret that the environment has taken a heavy hit from a lack of recycled material. Individuals who practice a “reuse, reduce, recycle” mentality often turn to refurbished timber floors. Recycled timber planks are full of character, and are often pulled from existing wharfs, train tracks, and other long-standing structures that are no longer in use. Parquet flooring is the masterpiece of all wood floors. By combining the timeless appearance of wood with a little hard work and strategy, flooring experts are able to create a hard wearing, uniquely fashioned floor that is truly one of a kind. Like wood, bamboo is a naturally sourced floor covering that is hard wearing and long lasting. Surprisingly, bamboo is a grass – not a hardwood! Technicalities aside, this flooring option still brings the style and long-lasting benefits of solid timber planks to homes throughout Australia, while adding its own unique personality to the interior design. Each of the wood flooring options we’ve listed here are beautiful and functional in their own respect. To pick the best hardwood floor for you, we recommend starting by taking a look at your budget. Once you know your price range, take any long-term plans for your current home into consideration. Homeowners who intend to stay in their current property should consider solid timber, parquet, or bamboo flooring. If you intend to rent your property, lower maintenance options like engineered hardwood may be the best choice. Whatever option you choose, be sure to enjoy your new floor! Want to learn more about flooring and interior spaces? Join our newsletter for more interesting tips.